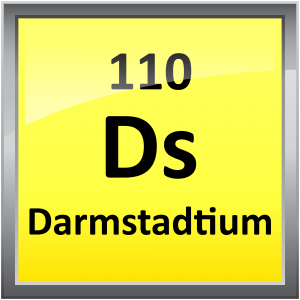 This isotope of darmstadtium decays by alpha decay after about 1⁄20th of a millisecond into an isotope of hassium. In order to determine if the atom of darmstadtium was created, the decay and energies of this daughter isotopes had to be detected. Only four of these daughter particles were detected on November 9, 1994. The IUPAC recognized their discovery in 2001 and the GSI team was allowed to propose a name for their element. 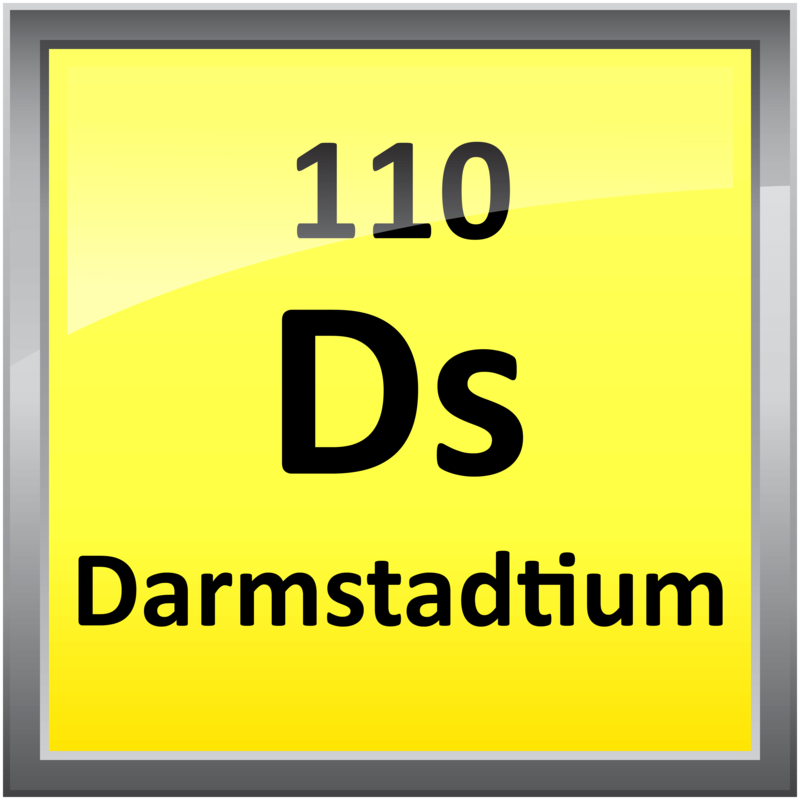 They narrowed the choice down to either darmstadtium (Ds) or wixhausium (Wi) after the location of the GSI labs. The IUPAC officially accepted the name darmstadtium in August 2003. 1994 – First atoms of element 110 produced. 1967 – First launch of NASA’s Saturn V rocket. Apollo 4 Saturn V on the launchpad. NASA launched the Apollo 4 or AS-501 mission to test the new Saturn V launch vehicle. 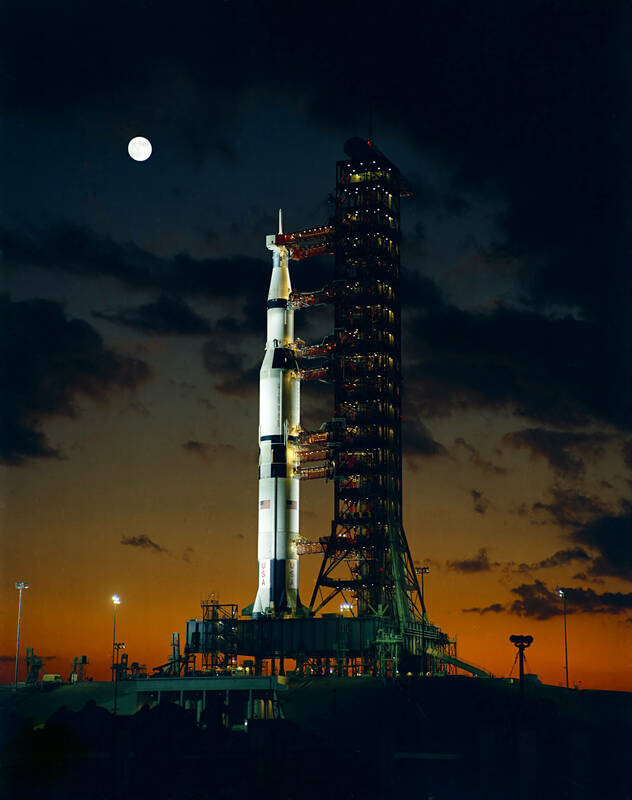 The Saturn V was the heaviest, tallest, and most powerful rocket ever built. Once assembled, the rocket is 363 ft (110.6 m) tall and 33 ft (10.1 m) in diameter. It weighs in at just over 6.5 million pounds (3 million kg) and can lift an additional 310,000 lbs (140,614 kg) of payload. Apollo 4 was an “all-up” launch for NASA where the completed launch vehicle was launched with all the separate stages together. This successful launch would lead to using this rocket to land astronauts on the Moon and launching the Skylab science station into orbit. 1952 – Jack Szostak was born. Szostak is a British biologist who shares the 2009 Nobel Prize in Medicine with Elizabeth Blackburn and Carol W. Greider, for the discovery of how chromosomes are protected by telomeres. A telomere is a section of DNA at the end of a chromosome. He also helped clarify chromosomal recombination during meiosis. 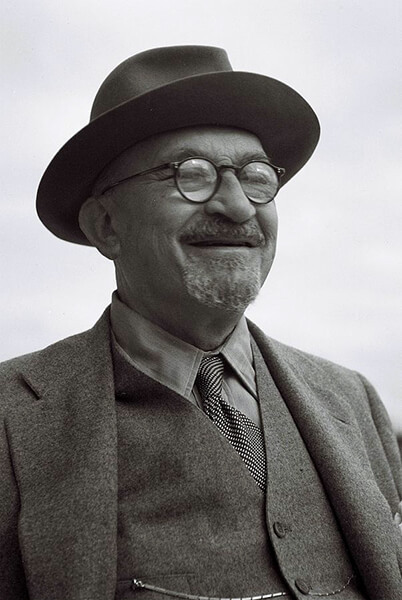 1952 – Chaim Azriel Weizmann died. Weizmann was a Russian chemist who developed the method to produce acetone using bacteria and fermentation during World War I. Acetone was vital to the production of cordite and explosives for the war effort. After the War, he modified his technique to produce other organic compounds using bacteria during fermentation. He was also an instrumental in the formation of the State of Israel and served as their first President. 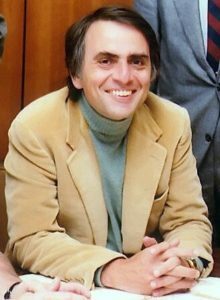 1934 – Carl Sagan was born. 1906 – Arthur Rudolph was born. 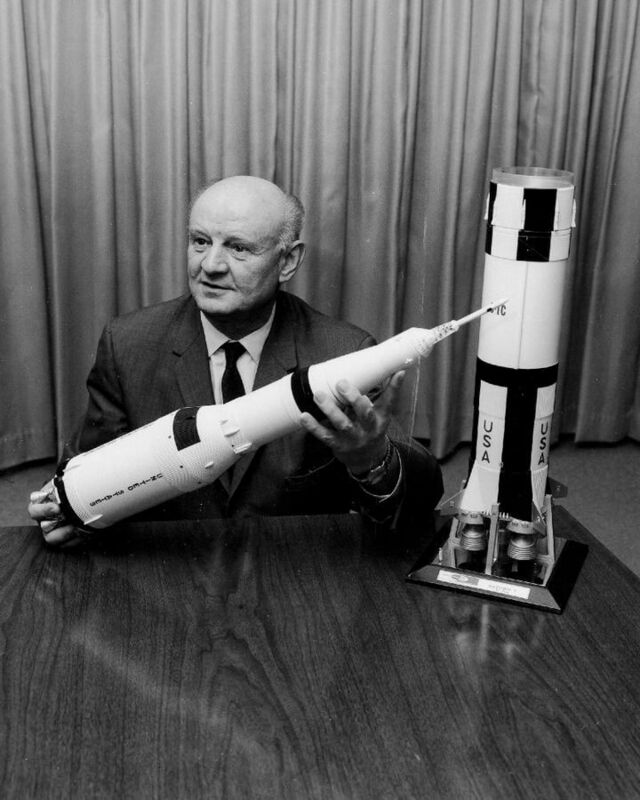 Rudolph was a German rocket engineer who led the development of the V-2 rocket. He was brought to the United States as part of Operation Paperclip, the military program that collected over 1,600 German scientists at the end of World War II. He continued his work for the US Army and NASA. He developed the Pershing nuclear missile for the Army. He transferred to NASA to work with Werner von Braun on the development of the Saturn V rocket that took men to the Moon. 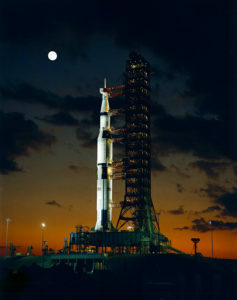 The Saturn V would make its first launch on his birthday in 1967. 1897 – Ronald George Wreyford Norrish was born. Norrish was an English chemist who shares half the 1967 Nobel Prize in Chemistry with George Porter for their research into very fast chemical reactions. They used pulses of light to disrupt organic compounds at equilibrium to increase the number of free radicals. A second pulse of light would record the changes before equilibrium is re-established to determine the intermediate steps to perform these reactions. 1864 – Dmitry Iosifovich Ivanovsky was born. 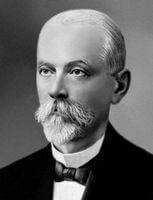 Ivanovsky was a Russian microbiologist who was the first to discover viruses. He was studying the mosaic disease of tobacco and found microscopic organisms he believed to be bacteria. Viruses would be independently discovered a few years later by Dutch botanist M.W. Beijerinck, but credit for the discovery was given to Ivanovsky.